New cannabis cultivators must learn to identify and treat various conditions in the grow room promptly and accurately. Here are the most common marijuana-growing problems and how to solve them quickly and effectively. My leaves are turning yellow and falling off. What gives? This is an indication that your plant is short on nitrogen, an essential nutrient. As a result, the plant is using the available nitrogen stored within its leaves for photosynthesis and chlorophyll production. You may have returned to the garden to find that a few of the most significant fan leaves have become lifeless and the connecting part of the leaf can be flicked off. What you want to do here is remove the yellowing leaves for a few different reasons. You will want them out of sight and out of the garden as insects are attracted to the color yellow. (This is why sticky strips made for catching flies are yellow.) Another reason to lose the leaves is that they’re useless to the plant and removing them will allow more light to the lower parts of the plant that the fan leaves were covering. If you find that the newest smaller leaves are becoming bright yellow and brittle, then you need to immediately add nitrogen that’s readily available. Add organic matter that’s in a state of humification, such as worm humus or tea, liquid seaweed, fish emulsions, blood meal or other things that are naturally high in nitrogen. Why is there a rotten-egg-like smell coming from my grow room? This will most likely happen when you are growing organically. That foul sewer-like smell is produced by a microbe that is in the growing medium. The bacteria are anaerobic, which means they thrive in environments that are waterlogged with low oxygen—basically, swamp conditions. If you get a whiff of sulfur and rotten egg, then you know this is the cause. To prevent this, introduce hydrogen peroxide into the growing medium at 3 percent strength. This is distilled water with an extra hydrogen molecule attached, an unstable molecule. Once it is in contact with any bacteria, it will starve the organism of oxygen and kill it. It will also kill any beneficial bacteria you have in your grow medium; however, your roots will revive and the anaerobic bacteria will disappear. A good tip here is to make sure your growing medium is not waterlogged. If you’re bottom-feeding, never let your plants sit directly in a tray of stagnant water. This is precisely how anaerobic bacteria are formed, and even more so if you’re using organic nutrients. Why do the leaves of my plant have tiny yellow or white dots on them? If you’ve noticed under close inspection that your fan leaves and newest growth have tiny yellow blotches on them, then, sadly, you have signs of spider mites. 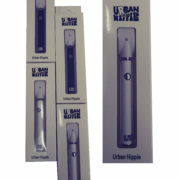 You will not notice these tiny pests with the naked eye; you can only see the collateral damage they leave behind. A spider-mite infection at any stage of the grow can be devastating, so my advice here is to be careful where you source your clones from. It’s important to limit any potential threats that are being brought into the garden. You’ll also want to reduce your humidity, as spider mites thrive in a clammy environment. It’s always good to have living predators on standby ready to patrol your garden. 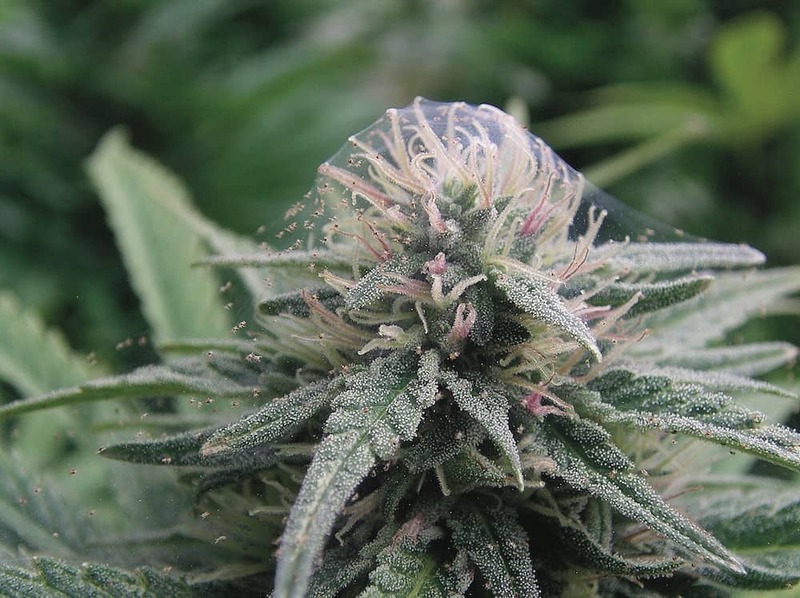 Once you have introduced these predators into your grow space, the results will be a slow reduction of the number of spider mites or whatever problematic insects you’re dealing with. I tried to cut the top of a shoot to create two shoots, but I missed. What will happen now? If you intended to grow two new shoots from one, this can still happen, but you need to wait about 10 days for the plant to recover and become bushy. Then you can start the process to top the plant again. My once white and fluffy roots are now thin, fragile and brown. What happened? You’ve got what’s called root rot, and this happens when the growth medium becomes waterlogged. Roots need oxygen to breathe during their search for moisture and nutrients. Again, using hydrogen peroxide will help bring the roots back to life, but so will repotting the plants into a medium that contains plenty of air pockets. A good idea is to use a 50 percent coco and 50 percent perlite mix as a medium, and adding worm castings, blood meal and any humate rich in nitrogen. You will notice your roots bounce back to life and form new fluffy root hairs, so ensure that the growing medium is dry more often than wet. I noticed spiderwebs forming around the leaves. What is this? This is not a web from a spider that has somehow entered the garden, but instead a full infestation of spider mites. These pests can lay eggs and multiply in a short time in the right environment, so controlling that situation with clinical effect is necessary. When you inspect your plants, you need to look at each one in the garden and remember that the spider mites are so small that they can move from plant to plant using the air currents from the fans in the room. Get a magnifying glass and get close up and personal in order to identify their presence; once you do, you can then try and control the problem with predators that will depopulate the spider-mite colony. There are tiny gray flies on the surface of my growing medium. Where did they come from? These little fly larvae can be frustrating, and they can even be inside the soil or coco from a grow store. There is not much you can do about these apart from setting up sticky fly traps. You can also keep the top of your grow medium dry and maintain constant air flow, as adult flies cannot lay their eggs in dry growing medium. I’ve been told to use a screen on my next grow for a more significant yield. Why should I do this? Using a screen at canopy level is a growing technique in which leaves above the screen are kept and leaves below the screen are removed. The screen not only adds support for heavy branches; it also allows you to expand your canopy greatly by training your plants during the vegetative stage. The idea with a screen is to pull the new trained shoots through each square strategically, so that when the plant flowers, the area above the screen is dedicated to producing dense buds. When you have efficiently filled every square of the screen and removed the irrelevant lower growth, the plant will now focus all its energy on the upper canopy above the screen. Why are my temperature and humidity so high? There can be several factors why you cannot get your temperature under 80°F and your humidity is uncontrollable. This is not good and can lead to all sorts of problems, particularly during the flowering period. If you have your ventilation system dialed in, it should remove and recycle the air in your space between 15 to 20 times per hour. One reason that many grow rooms fail is that the ventilation is not on par with what is required to remove the hot, stagnant air and to bring in carbon dioxide. The other reason why your temperature can be sky-high is that you have your lights too low. Hot air will rise, and cool air will sink. You should have cool fresh air blowing in from an intake fan that is smaller in volume than the outtake fan. The space should perform as a vacuum—dispelling hot air from the grow lights and ballasts and replacing it with fresh air from the lowest part of the space. Another tip is to keep your carbon filters and wall fans on even during the lights-out period. If you consider how the hot temperature and high humidity level build up, you can see that the heat cannot escape and adds to the moisture that forms on the walls and the surface of the plants. This is how powdery mildew and mold become a threat, so make sure you have constant fresh-air cycles and persistent blowing fans that mimic nature. There’s white powder all over the leaves when I check my plants. What is this? This is called powdery mildew (PM), a living spore that attaches itself to the surface of your leaves. This fungus will grow on fresh foliage and can cause problems to an entire grow room in a short time. PM travels through the air and requires wet and damp conditions with little airflow. This unwanted fungus can be treated with acidic-based washes, or with hydrogen peroxide and then rubbed off. It can take several days to entirely remove a PM infection, so keeping a close eye on your plants is essential at this stage. Root-bound plants should be transplanted into fresh growing medium. What do I do about the rusty-brown and yellow spots on my leaves? Rusty-brown spots on the lower leaves are your plant’s way of telling you that it is deficient in calcium and magnesium. Calcium plays a huge role in the cell division of plants, alongside potassium. Use Epsom salts to boost your nutrients, or get a Cal-Mag supplement from your grow store. The grow shop told me that my plants are showing a deficiency and that I should feed them trace elements. What do they mean? Well, nitrogen, phosphorus, and potassium are the three primary nutrients for your plants. The other remaining nutrients, called micronutrients or trace elements, are calcium, magnesium, sulfur, manganese, boron, zinc and copper. Cannabis requires this full lineup of nutrients to be able to do complex jobs deep down at the cellular level. My plants are root-bound. What should I do? Root-bound pots may look good, and many naive growers will show them off with pride without realizing that their plant has become restricted. When growing in a fabric pot or a pot with air holes in the bottom, roots will have a chance to come into contact with air and, as a result, react by pruning themselves. Fibrous roots will multiply and turn back on themselves and repeat this process like a spider does when building the structure for a web. Prepare a larger container with a new medium into which to transplant. 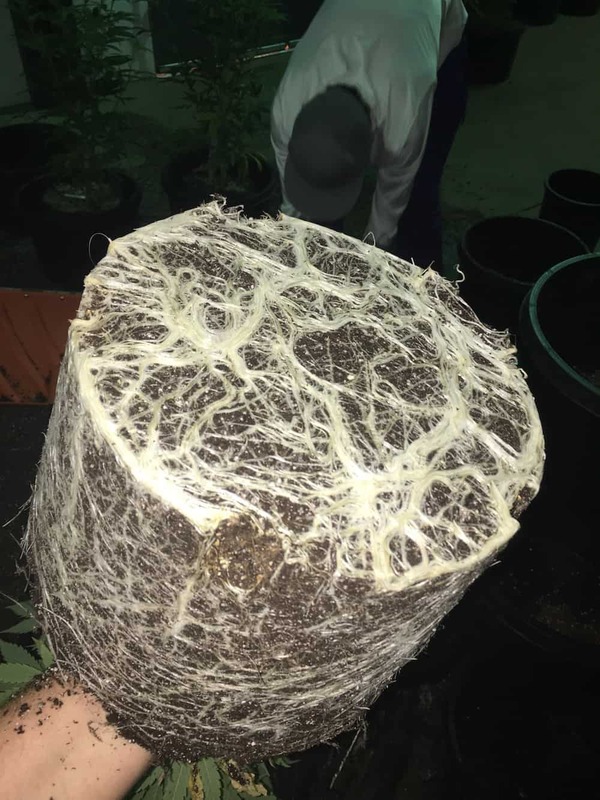 Wet your existing grow medium and turn the plant upside down with your fingers around the base of the main stem, carefully removing the entire root ball and placing it into the new medium. When I touch my grow medium with my hands, the soil is cold and wet. Is this good or bad? Cold temperatures are never good when it comes to growing cannabis. A cold medium can mean several things: poor air circulation, inconsistent wet and dry periods, the breeding of anaerobic bacteria, roots unable to take up phosphorus efficiently or sparse microbial life. You want your grow medium to be warm, and a good tip here is to use felt pots and have a temperature of 75°F around the base and tops of the plants. Lifting your pots off the ground and making sure they’re not touching the cold floors can make a big difference. Add a heater set at a low temperature to keep the air nice and warm for the roots. “Big roots mean big fruits,” as the adage goes, so keep the roots and microbes warm and happy. If you are hand-watering or bottom-feeding, use half as much nutrient solution twice as often. This can be more beneficial in the long run than finding out the hard way and having to work backward to find out where you went wrong. Good luck in growing your killer plants, and I hope these diagnostics have helped you already. The post High Times Magazine’s Official Troubleshooting Guide for Beginner Growers appeared first on High Times.